'Tis the season to be jolly because it is time for Christmas Beauty Gift Sets!! Makeup brands often come out with their most resplendent and breathtaking collections during this time of year that empties our wallets, leaving nothing behind but perhaps a measly five cent coin. One brand that caught me off guard was NARS and their Andy Warhol Collection. 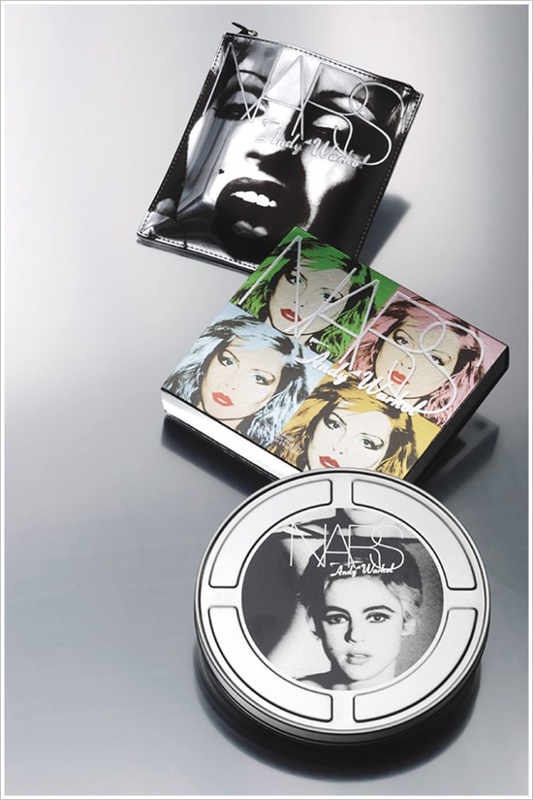 Francois Nars tastefully transforms Warhol's iconic works of arts into makeup items and gift sets that marks their spot on top of every makeup fanatic's wishlist. The sets that I was fortunately able to pick up were the Edie Gift Set and the Photobooth Gift Set. When I saw that Edie Sedgwick was featured on a giftset, it was an immediate must have. The set comes with items that I would comfortably use so I thought it would be worth my money. After a few swatches, I can already feel some new products that have joined my beauty favourites list! I haven't tested these nail varnishes out yet as I am thinking of gifting it to someone but the shades are easily wearable and the names are simply adorable. I have never tried out a NARS nail polish (or any other product for that matter) before so I can't wait to see it's colour payoff and longevity on the nails! I hope you didn't mind this half rambly haul/first impressions but I am a huge fan of NARS and Andy Warhol so I kind of fell in love with this collection. Happy Holidays everyone if I don't post before Christmas (if we all die from the apocalypse (knock on wood) :D). nars is such a great brand! I wish I could afford more of their products! Both sets look absolutely amazing! I passed up on them and now I kind of wish I didn't :( Oh well... it just makes time to save up for a whole year for this years Christmas sets, right? Haha. Oh, such a agreat collection. Nars definitelz knows how to do it :). I think my fav here is "Chelsea Girl" nail polish - such a beautiful colour. And that matte lip stick, just too good :)! Thanks for your lovely words on my blog, it sure means a lot :). Love the look of this collection! This want to try this collection so bad! I am in the process of ordering things now! I was thinking about this products and could not decide if I should buy them but they look pretty cool so maybe I will give it a try. Thanks for the information. Your have a lovely blog by the way and I am a new follower on GFC and Bloglovin! Hope you will like my blog and follow back!